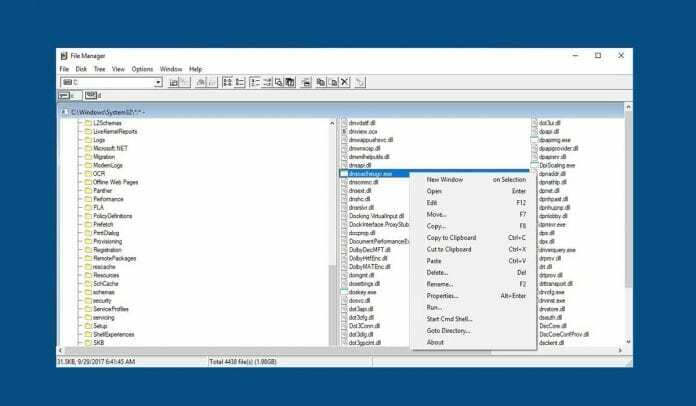 It’s time for folks from the 1990s to get nostalgic, as Microsoft has open sourced the Windows 3.0 File Manager released 28 years ago. This file manager was a replacement for managing files through MS-DOS, which allowed Windows users to copy, move, delete, and search for files. Veteran Microsoft developer Craig Wittenberg, who had copied the code in 2007 from Windows NT 4, has been maintaining it privately under the MIT license before open sourcing it recently. The source code Microsoft has released can be compiled and even run on Windows 10. “The Windows File Manager lives again and runs on all currently supported version of Windows, including Windows 10. I welcome your thoughts, comments and suggestions. For those who are interested in reliving the 1990s, can just go to the GitHub page here to download the Windows File Manager for Windows 10.